The video will give you a list but if you want to read a little about each film or click on a link to the original post, then all you have to do is continue to the next page. Pound for pound, the most entertaining movie of 2017. The original “Lego Movie” was terrific and it produced the breakout character of “Lego Batman”. Now instead of being a secondary character, Batman takes his place as the star of the film, while the screenwriters lampoon every Batman Trope you can think of. Will Arnet is great as the voice of the most honest and self centered caped crusader we have ever seen. A drama disguised as a comedy, this was a last minute entry that forced me to redo the video you saw on the first page. I might move this higher as I think about it more but for now, I’m just glad I got it on the list and you should be glad to go and see it yourself. It is highly entertaining and and ultimately a little sad. Two great female performances also dominate the film. Director Denis Villeneuve has made a great sequel to a great film that was ignored in its time, and he is getting the same treatment. 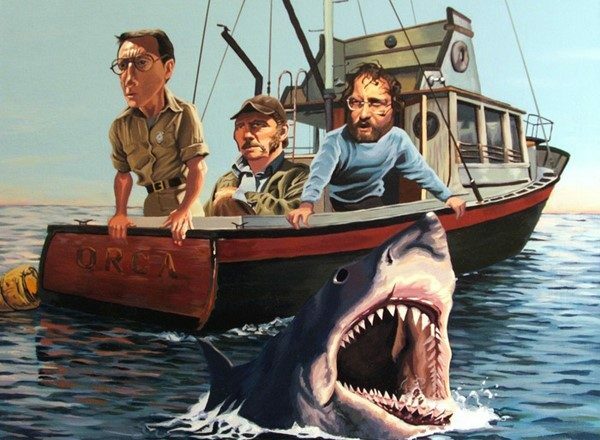 Audiences stayed away but the film will grow to be as memorable as the original. Somehow that seems poetic, although I’m sure the folks at Warner Brothers would rather have the box office. Actor Gary Oldman gives a performance worthy of the most towering figure of the last century. The film focuses on the two weeks after Churchill became Prime Minister, and that moment in time when it looked like the world could be lost. Historians may wavier about the “Great Man” approach to history, if they do, they should go back and reassess what might have happened if Winston Churchill was not there. Three terrific performances justify the inclusion of this film on the list. Francis McDormand might overshadow the film except that Woody Harrelson is there. Both of them will need to move over a little because Sam Rockwell gives a performance that should finally produce awards attention that he has not received before. A wonderful, largely unseen gem from Great Britain, which serves as an entertaining companion piece to two other films on my list. This is a war film, about everyday people making a movie about everyday people. It is just the kind of thing that gets me on a regular basis. As an added bonus it has great performance from another of my favorites, Bill Nighy. I doubt that it will be remembered at awards time, but it should be. An action crime film from Edgar Wright, and it is propelled by music primarily from the 70s, that’s another reason to love this movie. The car chases alone are worth your time, but there is also a sweet love story and some very scary characters to go along with it. I know Kevin Spacey is persona non grata these days, but his presence in the film should not be a deterrent, There is a lot here to love. Speaking of things to love, here is a Pixar film to love. Do you remember the days when every Pixar film was fantastic, you know before the dark times, before Cars 2? Well let’s hope those days have returned because this would make an excellent entry point to such a joyous return to form. I got more about the culture and tradition of this holiday from this movie, than I’ve received from living next to the culture for almost sixty years. Here is a dysfunctional family that needs redeeming by music and love. Do yourself a favor, save this movie for a time when you really need some uplifting inspiration. Then watch it and see how much better your life is. This film written and directed by Taylor Sheridan is bleak, honest and something that will stick in your head if you let it. Sheridan wrote last years “Hell or High Water”, which if I were to redo my list from last year would probably move up to being my favorite film of last year. So for the second year in a row, he has a film in the number two spot on my list. That is some kind of consistence. 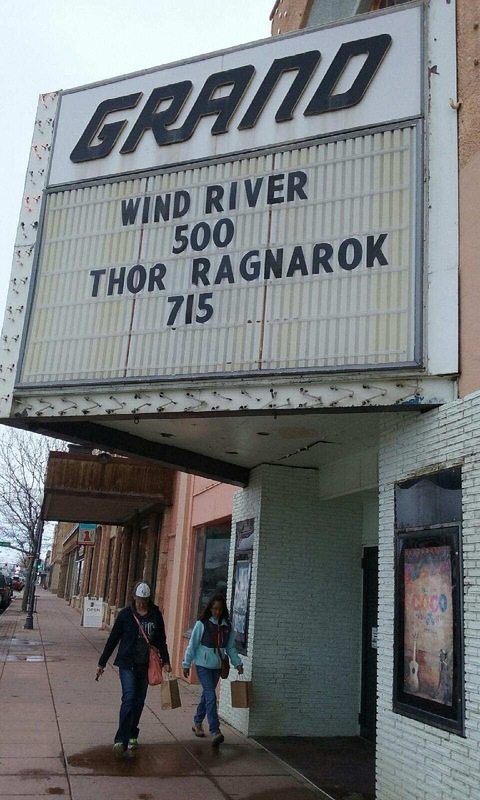 In a Meta Moment, the above shot is a picture of the theater in Lander Wyoming( the only theater), where the movie is set. My wife was visiting friends who live there and the movie was playing and they all went to see it. I just wish I’d made that trip. Christopher Nolan has not disappointed me yet as a director. Maybe “The Dark Knight Rises” fails to meet the standard set by it’s predecessor, but it was still an excellent film. Once again, he has something here to impress us with. The biggest military disaster imaginable is avoided and it turns a retreat into a critical turning point in favor of the Allies. There is not a lot of character, the plot barely follows specific people and never really delves into their backstory. Everything is focused on the events taking place and the crisis atmosphere that surrounds the characters. “Darkest Hour” and “Their Finest” are companion pieces to this film, but this is the one that takes film making expertise and applies it to an event to make us feel as if we really know what happened. This was the best film I saw last year. Great list! I think we share one pick but it’s a big one. You have several other movies that I really appreciate. 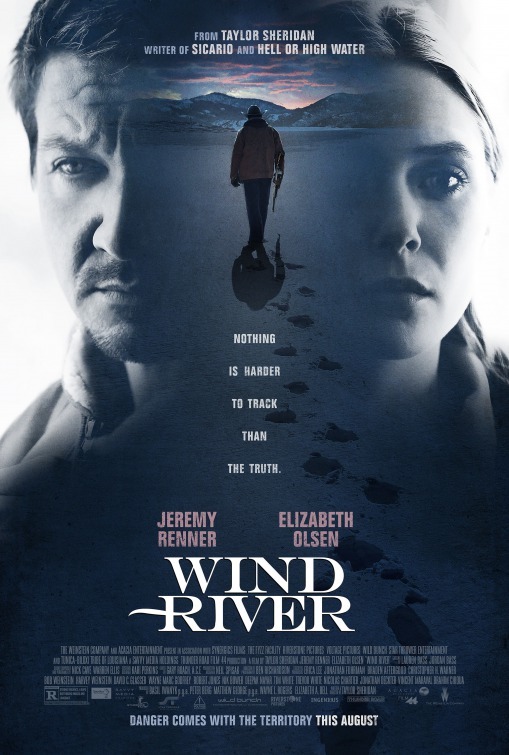 I already regret not placing Wind River a bit higher. I saw your list, it has so many films I’ve not seen it is hard to compare. I always try to restrict myself to theatrical experiences for this list, so I suspect most of the Netflix and Amazon films would have been excluded, although they sound great. It’s nice we agreed on the big one.